Flush casement windows meet the classification for weather tightness to BS 6375-1. Actual performance will depend on size and style. The 70 mm depth, internally beaded windows have a striking, deep bevelled, appearance. Designed with five chambers in all profiles and fully compatible, it can also incorporate triple seals to maximise thermal performance. PVC-U commercial flush casement windows are available in a variety of single or multi-light styles, using top hung vents, side hung casements and fixed lights, glazed either internally or externally. Finishes include white, woodgrain on white, or woodgrain - a full range of RAL colours and dual colours are also available on request. 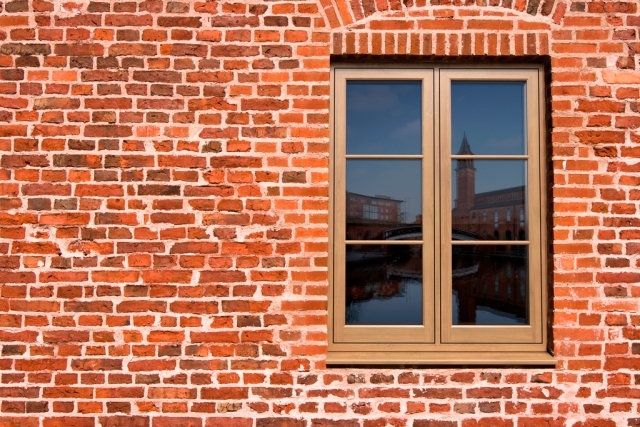 The special design of the commercial flush casement is also ideal for modern apartment buildings and overcomes the issues with the traditional casement style window, when a more ‘flush’ appearance is needed. Profiles are fabricated to BS 7412 and carry the BSI Kitemark. Specific members are reinforced with recycled composite material reinforcement/galvanized carbon steel to BS 7412 sealed within the profile central cavity. Double glazing to BS 6262 can be supplied, using 24, 28, 36, 40 and 44 mm insulated sealed units, depending on thermal and acoustic requirements - double glazed units to BS EN 1279. Post co-extruded glazing beads are provided throughout. Bead groove improved to ensure a more secure fit in accordance with PAS24. Standard co-extruded gasket - optional second and third weather seal. Security features multi-point mushroom espagnolette, with night vent facility and lockable handles (dependent upon fire egress requirements). Windows fitted with high security hardware meet the requirements of PAS 24: 2012. Controllable or permanent ventilators can be fitted into the head of the frame immediately above the sash, if required. Energy efficient windows, achieving a Window Energy Rating (WER) of grade up to A+. Triple glazing allows u-values to 0.8 W/(M2.K). Air permeability 600Pa, water tightness 600Pa and wind resistance 2400Pa (weather rating to BS6375-1:2009).